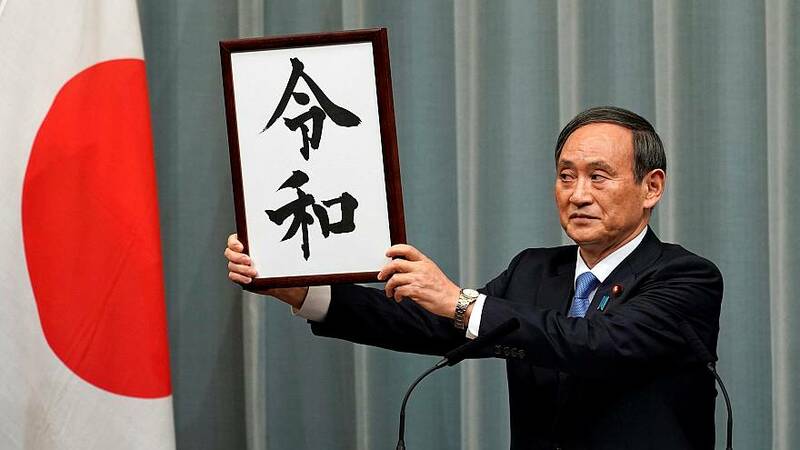 TOKYO — Japan declared on Monday the name of its new imperial era when Crown Prince Naruhito becomes emperor on May 1, with Prime Minister Shinzo Abe saying it emphasized traditional values at a turning point in the nation's history. The characters are from a poem about spring that mentions soft winds and plum blossoms -- references that scholars recognized but are not familiar to most people. City offices and government agencies have been preparing for the new era name for months, aided by computer systems firms such as Fujitsu Ltd and NEC Corp. Many computer programs have been designed to make it easy to change the gengo. Over time, the gengo comes to symbolize the national mood of a period, similar to how "the '60s" evokes certain images, or how historians refer to Britain's "Victorian" or "Edwardian" eras, tying the politics and culture of a period to a monarch.